Description and Similar Species: Wingspan 30-37mm. 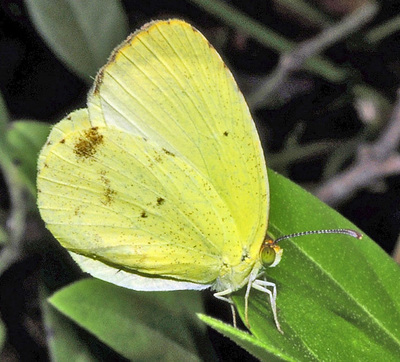 Sexually dimorphic and females have an orange or brown spot on the hindwing apex. 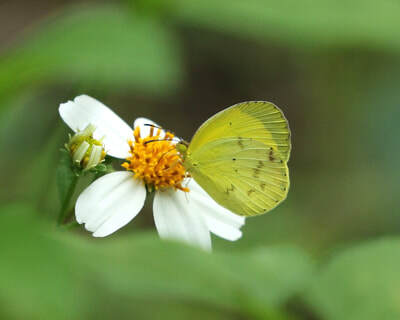 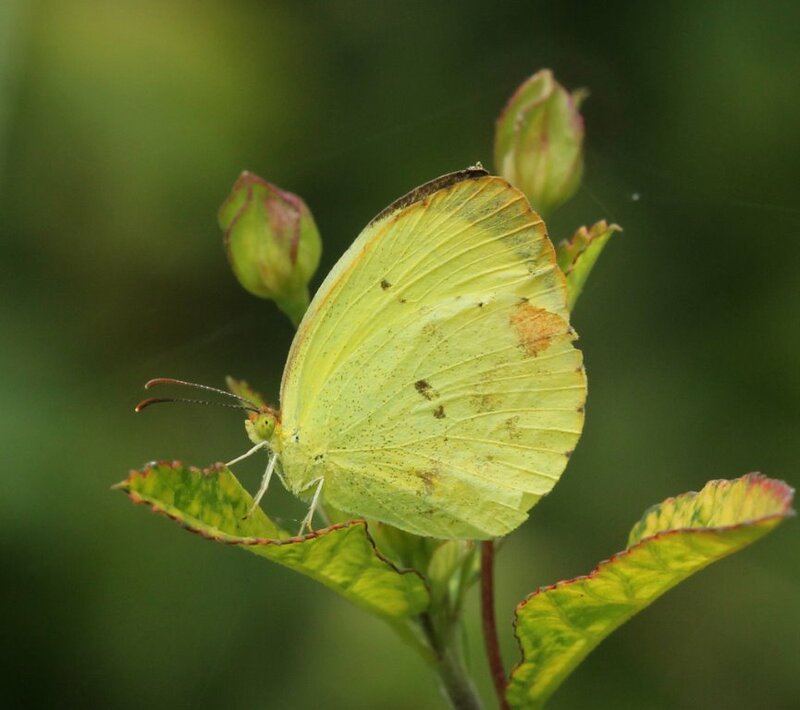 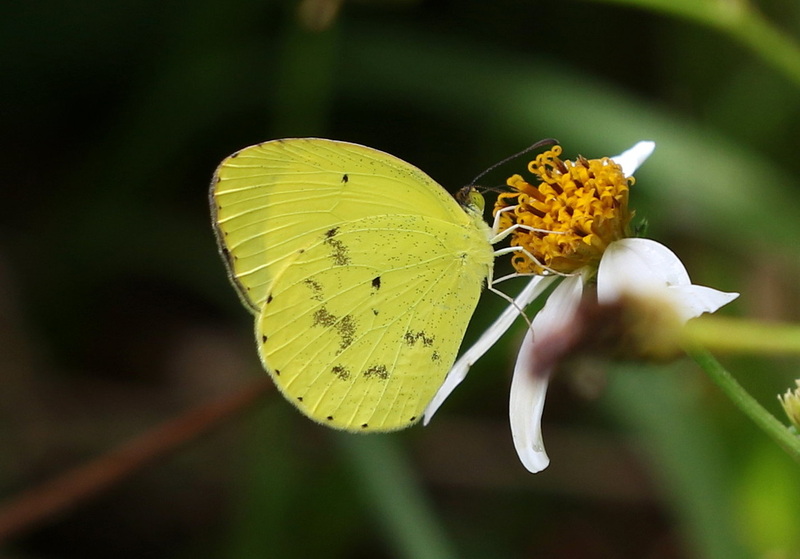 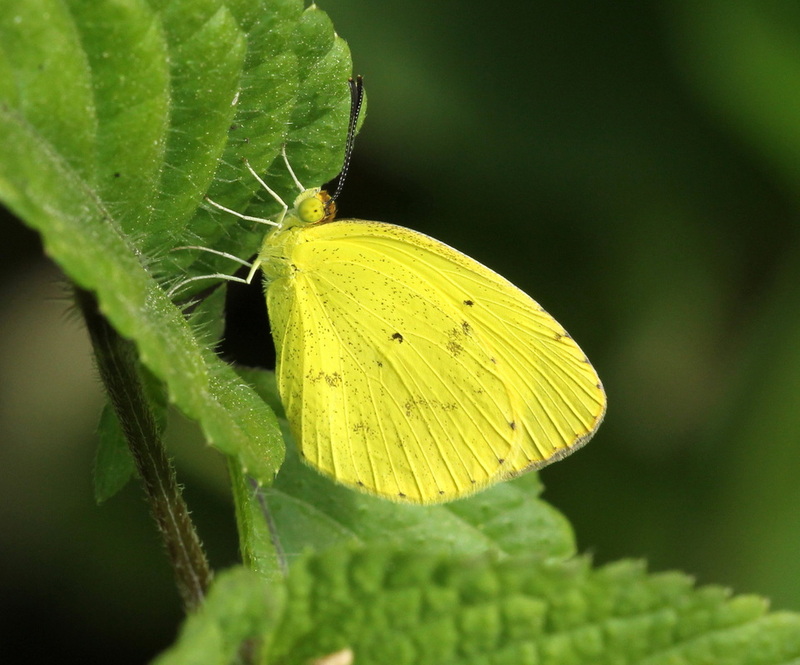 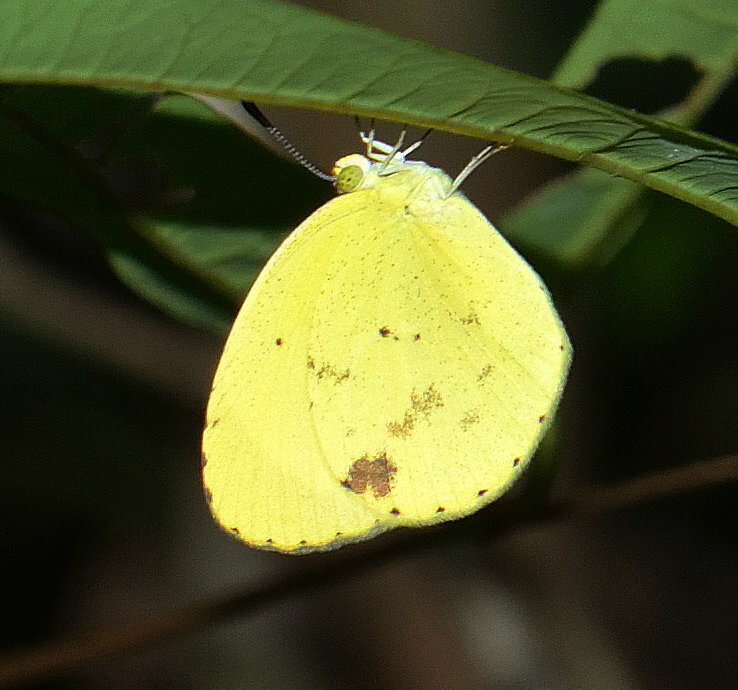 Very similar to Bush Sulphur P. dina but P. nise is slightly smaller with a broader black forewing margin and has small black dots around the perimeter of the hindwing underside and the shape of the wing is different in having a more rounded costa. 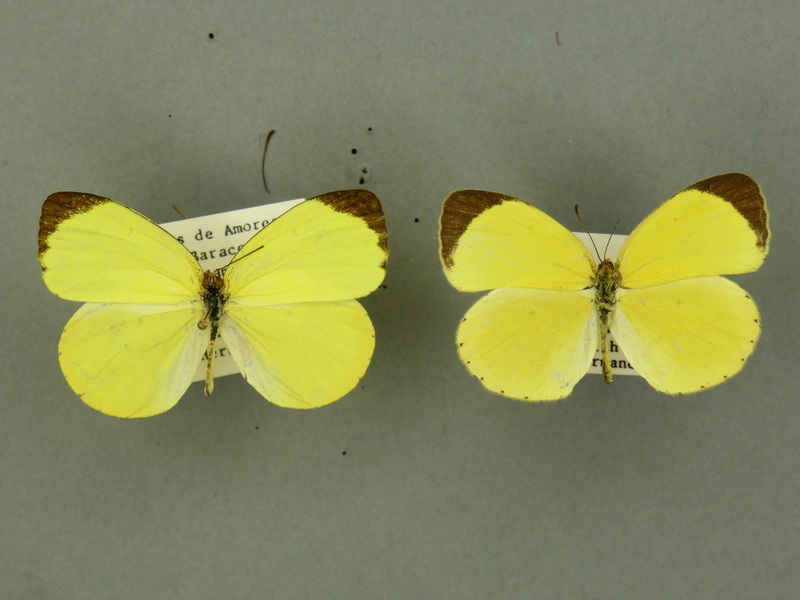 P. nise is also easily confused with the much rarer though widespread Confusing Yellow P. larae (see that species for the subtle differences between these two). The only other species that have a similar orange or brown apical spot on the hindwing are female E. messalina but that has a large brown smudge on the tip of the underside forewing, female P. larae, and both sexes of Little Yellow P. lisa but here the black on the upper forewing is much more extensive. Status: Widespread throughout Cuba wherever the foodplant grows. 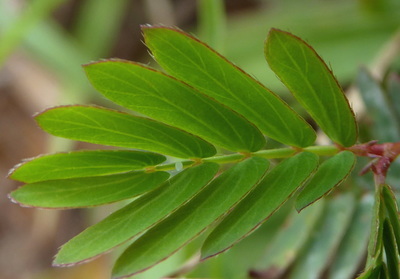 Nectar Plants: Lippia alba, Mimosa pudica and Cassia.